Masters, D.c.. "Reciprocity". The Canadian Encyclopedia, 24 May 2017, Historica Canada. https://www.thecanadianencyclopedia.ca/en/article/reciprocity. Accessed 26 April 2019. Reciprocity was an agreement between the United States and Canada, controversial at times on both sides of the border, to mutually reduce import duties and protective tariffs charged on goods exchanged between the countries from 1854 to 1948. 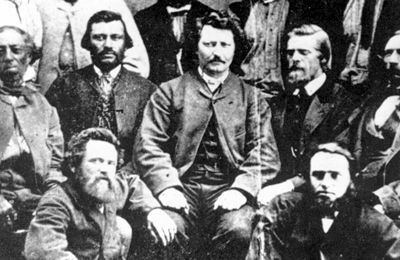 The movement toward reciprocity began 1846–50 in Canada West (what is now Ontario) and the Maritime colonies, particularly New Brunswick. Its earliest major advocate in Upper Canada was politician and businessman William Merritt. British diplomats had tried before 1852 to negotiate a reciprocity agreement in Washington, without success. Then a dispute developed over the rights of American fishermen in British coastal waters in North America. Both governments became anxious for a comprehensive settlement to dispose of the reciprocity and the fisheries issues. The Reciprocity Treaty was finally signed by British North America (BNA) Governor General Lord Elgin and US Secretary of State William Marcy on 6 June 1854. It was accepted by the US Congress in August. The treaty was to remain in force for 10 years, after which it could be terminated by either side with one year’s notice. The treaty's principal provisions were for the admission of US fishermen to the BNA’s Atlantic coastal fisheries and a similar privilege to let BNA fishermen fish US coastal waters north of 36 degrees N latitude. It also established free trade between the two states in a considerable list of natural products. Trade between the US and the colonies increased sharply after 1854, although other factors, such as the Canadian railway boom and the effects of the American Civil War (1861–65), were largely responsible. At first the treaty was popular in both countries, but owing to a combination of political and economic factors it fell out of favor. Opposition in both countries centred on the fear that it was a stepping stone toward the absorption of the BNA colonies into the US. Canadian opponents feared their small colonies would be swallowed by the more populous and more economically powerful Americans. Opponents in the US, particularly in the southern states during the US Civil War, feared that any absorption of the BNA colonies by the US would increase the influence and power of the northern states. During the Civil War, Britain quietly collaborated with the southern states in their fight with the North. At the end of the war, northern politicians, angry at Britain for its support of the South, sought an end to reciprocity with the British colonies. This, coupled with the treaty's other perceived shortcomings, prompted the US to cancel, or abrogate the treaty on 17 March 1866. 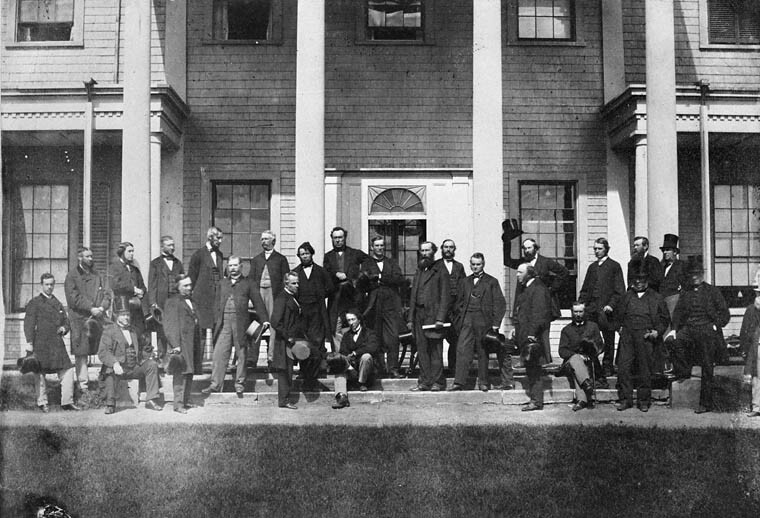 The end of the treaty fueled the case in British North America for Confederation, as a larger domestic Canadian market would improve trade opportunities for each individual BNA colony. After Confederation, Canadians continued to desire renewal of reciprocity. Political leaders John A. Macdonald, George Brown, Charles Tupper and others made “pilgrimages” to Washington without success. A notable disappointment was Macdonald's failure to have a large measure of reciprocity included in the 1871 Treaty of Washington. The last major attempt at reciprocity was negotiated in 1911 by the Laurier government. This Reciprocity Agreement, to be implemented by concurrent legislation, provided for free trade in natural products and the reduction of duties on a variety of other products. The agreement was accepted by the US Congress but repudiated by Canadians, who ousted the Liberals in the general election of 21 September 1911. After 1911 reciprocity played a less prominent role in Canadian–American relations. In 1935 the Mackenzie King administration negotiated a trade agreement which was much less sweeping in its removal of trade barriers than that of 1854. In 1938 a new and more comprehensive agreement was signed, granting Canada additional concessions to those in the 1935 deal. The 1938 agreement was suspended in 1948 after participation of both countries in the General Agreement on Tariffs and Trade (GATT). In the 1980s the Progressive Conservative government of Brian Mulroney negotiated the Canada–US Free Trade Agreement. It was signed by Mulroney and US President Ronald Reagan in 1988. Like the earlier reciprocity agreements, it eliminated many trade barriers between the two countries. It was superseded in 1994 by the North American Free Trade Agreement (NAFTA) between Canada, the US and Mexico. Reciprocity Treaty, 1854The complete text of the Reciprocity Treaty of 1854. A Library and Archives Canada website.